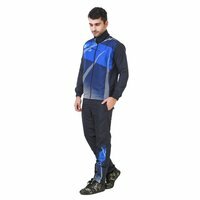 This Men's Printed Track Suit has been designed by using coated nylon or PVC that is designed to make wearer sweat profusely. 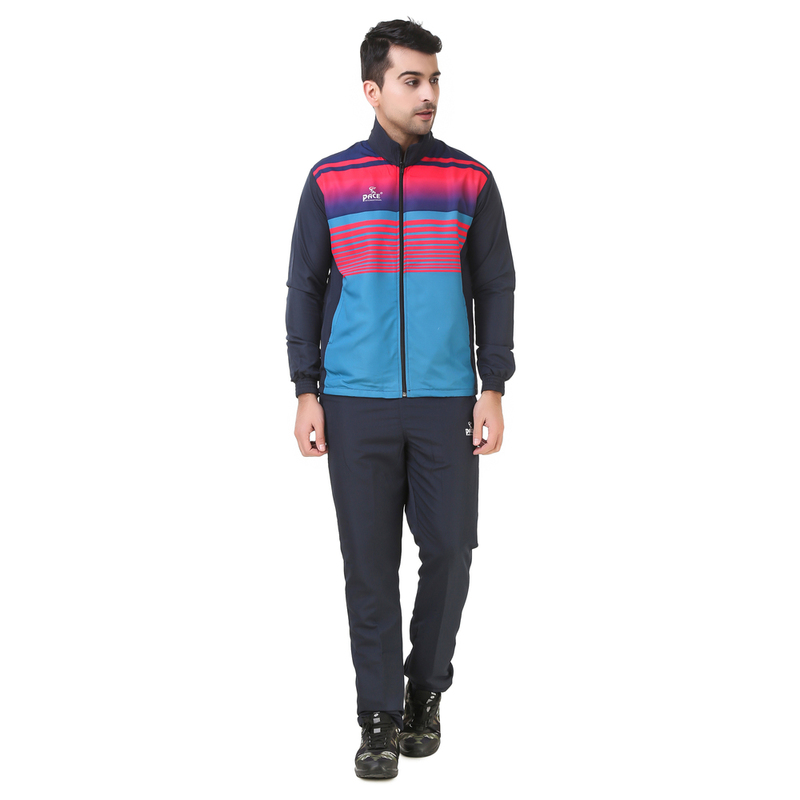 This track suit has breathable lining that absorbs sweat easily and keeps you cool and dry even long workout hours. It is crafted with intricate pattern and has alluring combination of black and blue that adds a fashionable and appealing look to your overall persona. 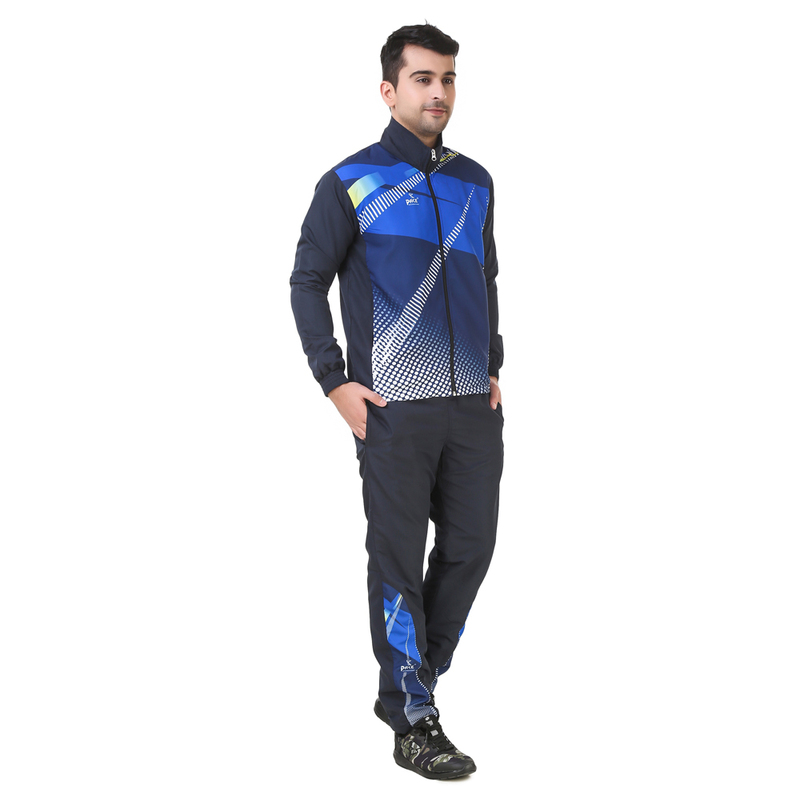 This track suit comes with track jacket and trouser in which jacket is stitched with zip closure and trouser has elastic waistband that fits perfectly to wearer. 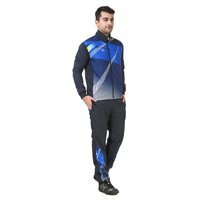 Offered Men's Printed Track Suit is completely shrinkage proof and known for its fade resistant color and sheen.